Our range of Forged Round Bar are available in different lengths and diameters to serve diverse applications and are made of premium quality. These Round Bars are highly durable and have long lasting functional life. We offer our client an excellent quality range of Forged Round Bar, which is manufactured from high-grade quality raw materials. These Forged Round Bar can be customized as per our precious customer's specifications. 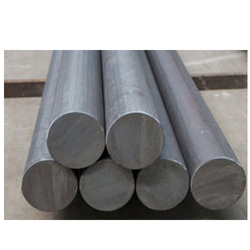 We are engaged in offering a wide range of Heavy Forged Round Bar to our clients. The offered product range has smooth finishing and are in compliance with set quality standards and manufactured using the best quality raw material. Moreover, these are known for their high durability.